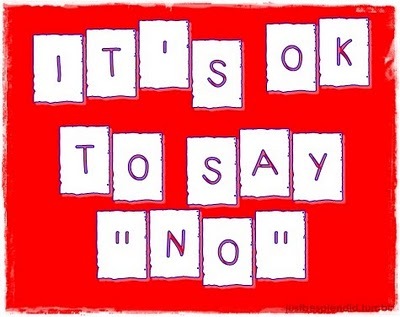 Today, our society is greatly geared towards drinking, but there are many people that choose to not drink. Being a non-drinker in college can be hard due to constant pressure and hassle from friends and others. In turn, this is just a short clip of how those non-drinkers can get out of that sticky situation of pressure that they may encounter at a party. 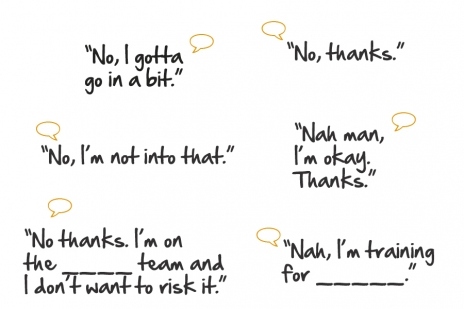 -It might just be as easy as saying “No thank you” to a friend. 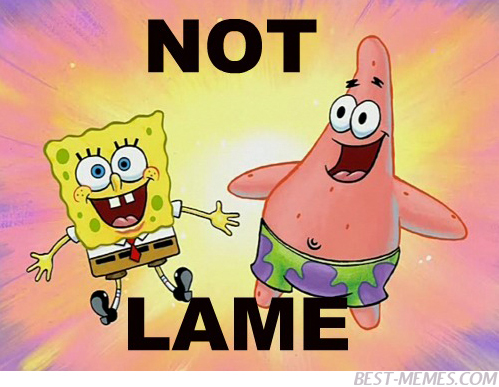 Remember saying no to drinking doesn’t make you lame. I’m driving tonight- I’m DDing (Designated Driving). I have a huge test tomorrow. I have to get up early in the morning. No thank you, I’m good tonight. I don’t feel well. I’m just going to lay low tonight, thank you though. Hold that thought I have to go to the bathroom. 3) Even just focusing the conversation on the other person and responding by saying, “no thank you” but followed by an open ended question spins the conversation and the person won’t even question you why you’re not drinking. Realize that not everyone is into drinking all the time either. 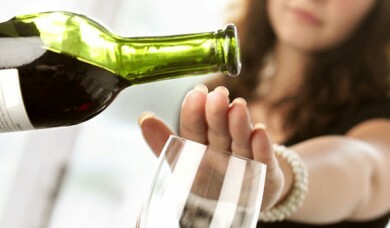 Try and avoid situations where drinking will occur if you don’t want to. Carry a decoy. You can always carry a soda in a different glass disguising it, and your friends won’t be tempted to ask you if you need a drink. Keep busy by taking pictures, socializing with more people, eating, have fun dancing, or even being the dj. Good morning UND we are looking at a chilly day with a high of 6 above right now at 9:30 in the a.m. we are sitting at -2. TOO chilly? Get warm and catch a movie.~~~~~~~~~~~~~ we interrupt this blog to bring you a shocking announcement early this morning. In the year 1959, three rock stars died. The bodies were identified as Buddy Holly, 22, Richie Valens, 17, and the Big Bopper Richardson, 28. The Plane took off from Clear Lake, Iowa headed for Forgo, ND airport. The show was in MN. These three Rock singers died in an airplane crash on February 3, 1959. We now bring you back to your regular scheduled blog. The movie of the week is The Seventh Son (PG-13). In a time of enchantments, when legends and magic collide, the sole remaining warrior of a mystical order travels to find a prophesized hero born with incredible powers, the last Seventh Son. Fasten your seat belts, everyone, this movie is a wild ride and will keep you on the edge if your seats all 2 hr. 00 min. Sometimes, counting the amount of drinks you are having in one night can be hard. There are so many different sizes and mixes that make it difficult to realize how much alcohol you might actually be consuming. 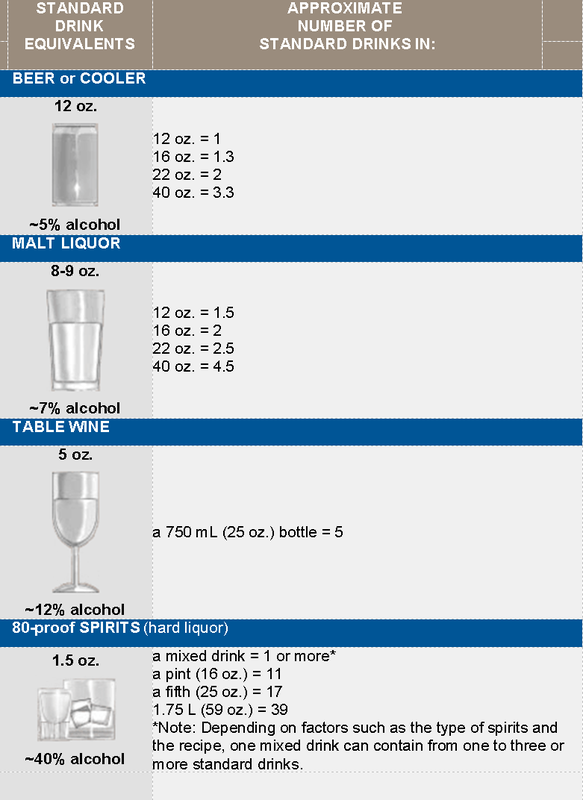 Take a look at the chart below to help you better understand how large the standard drink size actually is. Here are some examples of drinks that can be misinterpreted for one drink but actually contain the alcohol content of many standard size drinks. 1. Long Island Iced Tea: The average Long Island Iced Tea has 2.5 ounces of hard alcohol in them! This means that after just one of these, a person could be considered over the legal BAC level to drive. 2. Pounders and Tall Boys: Pounders and Tall Boys can be considered as an amount of beer that is more than 12 oz. Many tend to be 16 or 22 oz.! Drinking three 22 oz. beers is the same as drinking six standard drinks!